There are many reasons to study martial arts. It is one of the greatest ancient art form of all time that consists of a mix of powerful physical activities that are all good for exercise, discipline, confidence, self-defense and special interest. For Oriental families especially, learning martial arts is a time-honored tradition. Techniques and skills have been passed on from generation to generation that the art has evolved into many forms of martial arts which we have today, including those “blood-and-guts” schools which give martial arts a bad reputation. Many parents feel that learning martial arts will encourage violence. On the contrary, all true martial arts are a special form of instruction that promotes fairness, honor and awareness of others. It is a skill where every arm, leg and body movement is not only for training for tournaments, or even for expertise for self-protection and defense, but also instills discipline, commitment and self-reliance. Not all forms of martial arts are suited for all ages or genders. The basic body movements that are the foundation can be learned by everyone. However, as skill advances, there are differences in the application of techniques that will vary from body types and age groups. And more tips for strategies, rules, injuries and safety and other martial arts essentials. 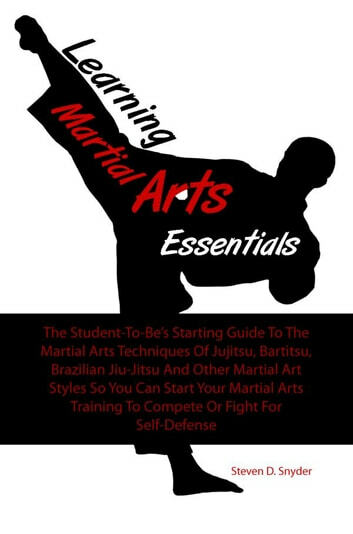 All the details in this guidebook will help make your martial arts learning fun and progressive so you can advance faster to the next higher level and become a martial arts expert in no time at all.